The Rotary Club Downtown Boca Raton recently donated $25,000 dollars to the Florida Atlantic University Foundation to establish the Rotary Club Downtown Boca Raton Endowed Scholarship Fund. 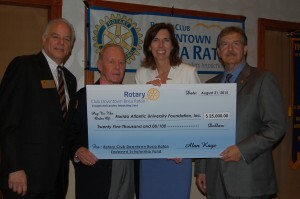 Proceeds from this endowment will fund scholarships which benefit medical and nursing school students. The Rotary Club Downtown Boca Raton is dedicated to impacting the Boca Raton Community through our efforts of “Service Above Self.” The Rotary Club Downtown Boca Raton is focused on keeping our talent on the local level in order to benefit our Community through Health and Wellness, and Community well-being. 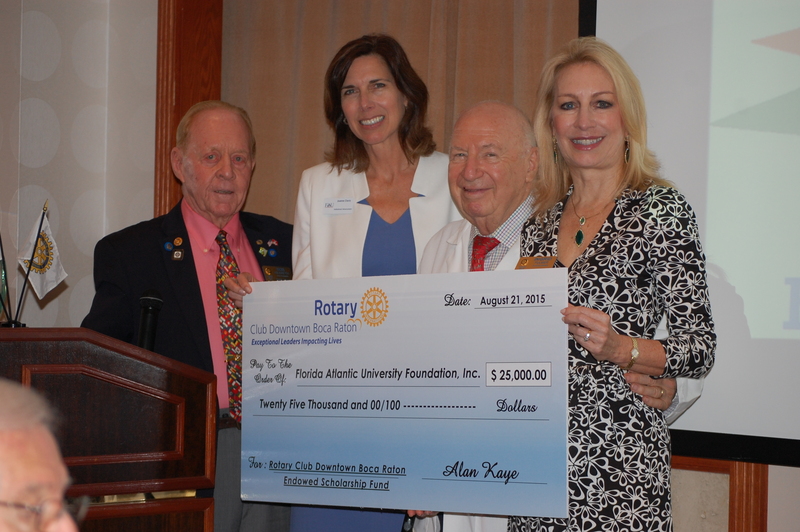 The Rotary Club Downtown Boca Raton is run by the Members for the Members, for the sole purpose of making a difference in our Community and the lives of many in an environment that embraces integrity, friendship, camaraderie and trust. Our goal is to keep our outstanding Community growing strong. Rotary is a global network of community volunteers. The 1.3 million Rotary members are business, professional, and community leaders who provide humanitarian service, encourage high ethical standards, and help build goodwill and peace in the world.